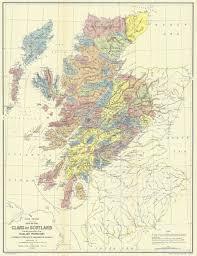 What are your Scottish roots? Always begin by gathering as much current family information as possible. Vital records like birth, marriage, and death certificates are necessary, but so are family journals, diaries, and letters. Once you think you have enough materials, you can then really dive into research! Visit the local library and county records centers. Their historical documents can build a chronology of when and where your family came from. These websites can provide additional genealogical services. Try them out! Ancestry.com has an extensive records database that allows paid users to access a wealth of genealogical information. By providing some initial documentation, you can utilize Ancestry.com to expand your research and see how far back you can trace your family. Based in Edinburgh, the National Archives of Scotland (NAS) exists to select, preserve, and make available the national archives of Scotland in whatever medium, to the highest standards; to promote the growth and maintenance of proper archive provision throughout the country; and to lead the development of archival practice in Scotland. The NAS also holds historical records created by businesses, landed estates, families, churches and other corporate bodies. Every year tens of thousands of people from all over the world use the NAS’s services to carry out research, seek advice on record keeping, and enhance the learning and teaching of history. The St. Louis Genealogical Society promotes family history research by providing educational and research opportunities, offering community services, and collecting, preserving, and publishing genealogical and historical records. 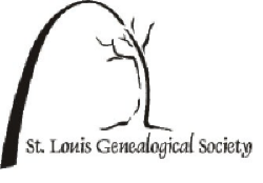 The St. Louis Genealogical Society is the largest local genealogical society in the nation. It is renowned in genealogical circles for its excellence in programming, resources, and membership services.